Death floods the streets of Florida as rival gangs kill for blood rights to the distribution of a new synthetic drug, Crocodil. The Russian substitute for heroin, it's the ultimate prize in the drug turf wars-a cheap high that brings even cheaper death. 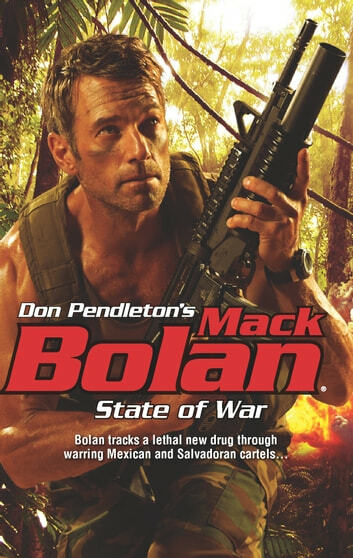 As rival Mexican and Salvadoran cartels shoot it out for kingpin status, Mack Bolan joins the war. Unleashing incendiary hell on gang territory in Miami, he blasts his way through a pipeline that leads south to Guatemala, where a corrupt Swiss pharmaceutical company has set up manufacturing. Allied with a couple of locals equally dedicated to stopping this lethal fix before it hits Main Street, U.S.A., Bolan faces an army of hard-core mercenaries and miles of cartel blood lust. Outgunned but never outmaneuvered, the Executioner doesn't soft-sell his brand of payback to these merchants of human misery. Bolan goes in hard and without mercy. better written than many other Bolan books!